The mother’s meeting for this month was focused on understanding ”what is parenting”. As the group comprises of widow mothers managing children from lifelong illnesses, in addition to being a nurturer, the women play an important role of being the breadwinner too. This has affected most of the women in spending quality time with their children. The parenting introductory session was to help the women understand the different needs the children have and how parenting can help in the well-being of the child. 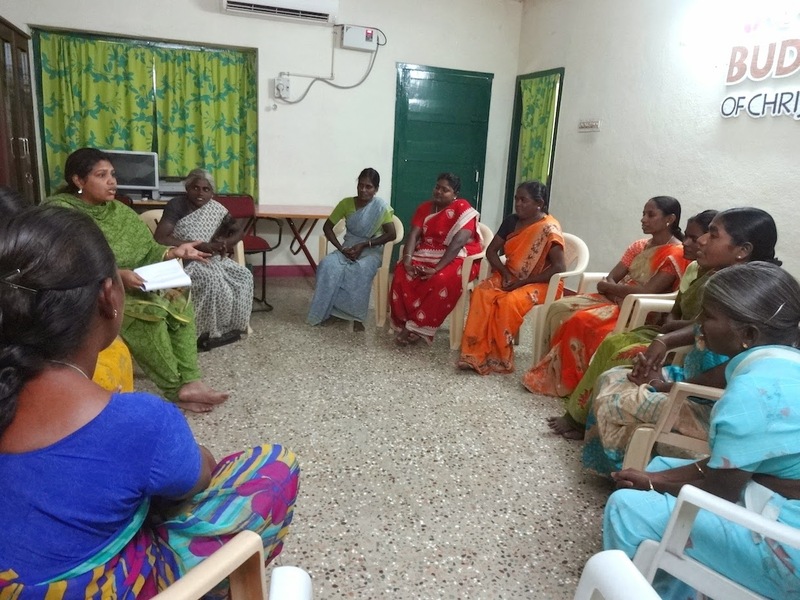 In the first session, the women were asked to identify the different a child has; and in that the women could only relate to the physical and educational needs. The social interaction and emotional needs have not been focused and some even expressed that due to the their health status they have imposed the children not to relate with others in the neighborhood due to the fear of stigma or being discriminated. Following this, the mothers were taught the four types of parenting, the first one being -authoritarian and strict, the second authoritative and firm, third one permissive and fourth uninvolved or neglected care. These types were discussed in detail with case examples and the women could personally reflect their own parenting styles. At the end of the session the women were able to personally reflect the parenting style that they were brought up and the parenting style that they are practicing now with their children. Majority expressed that they belonged to the authoritarian parenting style and have been practicing a mixed role of permissive and authoritarian parenting style. Everybody in the group gained an understanding of the authoritative and firm parenting style as the best form.